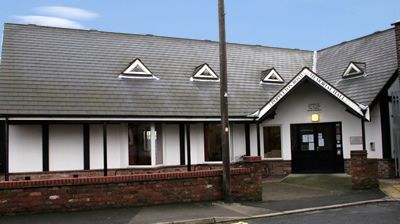 Poppleton Road Memorial Hall (Reg. Charity 701225) is a Community Hall, situated at the junction of Oak Street and Poplar Street, off Poppleton Road, York YO26 4SE. Our auditorium (seats 100) and two first floor meeting rooms (seats 15 & 6 respectively) are available to hire for regular and “one off” events. FREE superfast broadband plus auditorium OHP and screen. Portable stage, lighting and sound equipment available for hire with prior notice. On site car parking is limited. Please consider car-sharing, arriving on foot, by bus or bike. Car users please follow our direction signs to the parking area at the back of the Hall. We use the Hallmaster booking system. To make a booking request, please go to our DIARY page. Click the + symbol on the day & room you wish to book, then follow the on-screen instructions. Help is available on the Diary User Guide. If you need to cancel or amend an existing Hallmaster booking, this can only be done by a Hall administrator. Please email us via the “Enquiry” form on the RH menu to request this. This form can also be used for general enquiries. Our 2019 Annual General Meeting is scheduled for Thursday April 25th at 7 pm. We are still in need of new Trustees to work alongside us, and eventually take over to secure the long term future of the Hall. there is a commitment to a bi monthly evening meeting at the Hall. Some Officer roles require intermediate involvement. Especially welcomed but not essential, are admin, financial and IT skills. Get in touch via our website enquiry link if interested.